Public hearing nets positive outcome for former golf course, proposed comm. 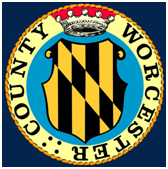 (April 5, 2019) The water and sewer service classification for the site of a proposed residential community near Ocean Pines was changed Tuesday following a public hearing and unanimous vote from the Worcester County Commissioners. The proposed project is on two parcels of land spanning the former Pine Shore Golf Course, located from the northwest side of Beauchamp Road to northeast of the junction with Route 589. The property’s classified as S-6/W-6 (no planned service) and requested S-1/W-1 (within two years). The proposed residential subdivision with 90 single-family homes aimed to have 90 equivalent dwelling units of public sewer from the River Run Sanitary Area, and 90 EDU’s of public water from the Ocean Pines Sanitary Area, according to the proposal. Zoning from the River Run and Ocean Pines planning areas were also previously approved and zoned appropriately as an R-1 rural residential district, according to the proposal. The Worcester County Planning Commission recommended the proposal during a Jan. 3 meeting. Attorney Mark Cropper represented joint applicants River Run Developments Associates LLC., and Nichols-Neff Properties LLC. Commissioner Jim Bunting moved to approve the change, and Commissioner Joseph Mitrecic seconded the motion. River Run Developments Associates Llc.